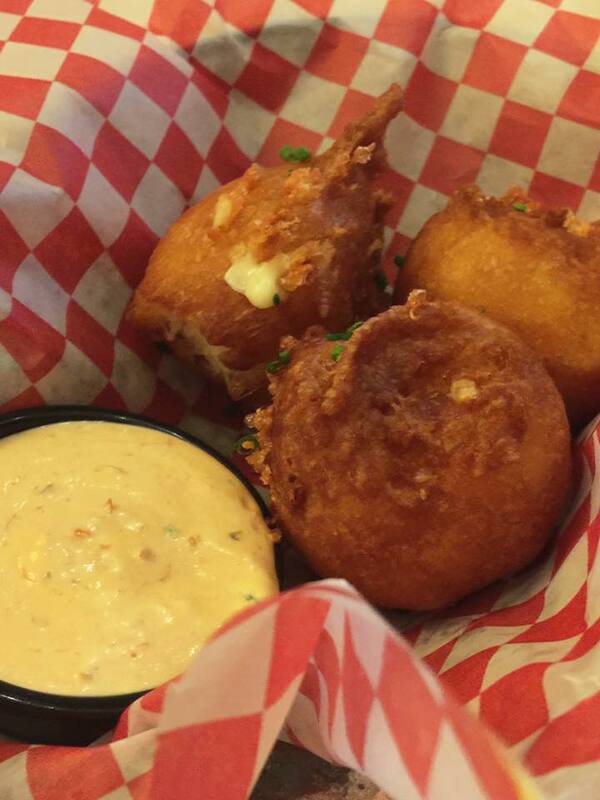 For starters, they have these insanely huge fried cheese curds that are bursting with cheesy goodness. They come in an order of three but you’d only need one each. 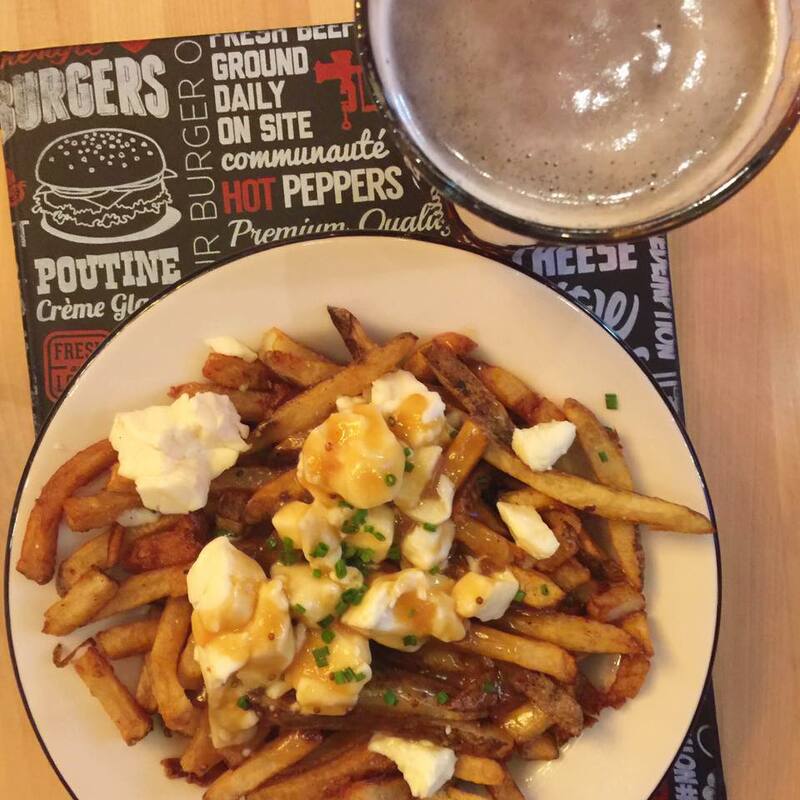 If you didn’t get enough cheese curds with the fried cheese curds, and believe me you can never get enough cheese curds, especially the fresh, squeaky ones served at Notre Boeuf De Grace, their poutine is exceptional. It’s made with a vegetarian house gravy, freshly cut fries, and local curds. The plate is larger enough for a full meal or to share. 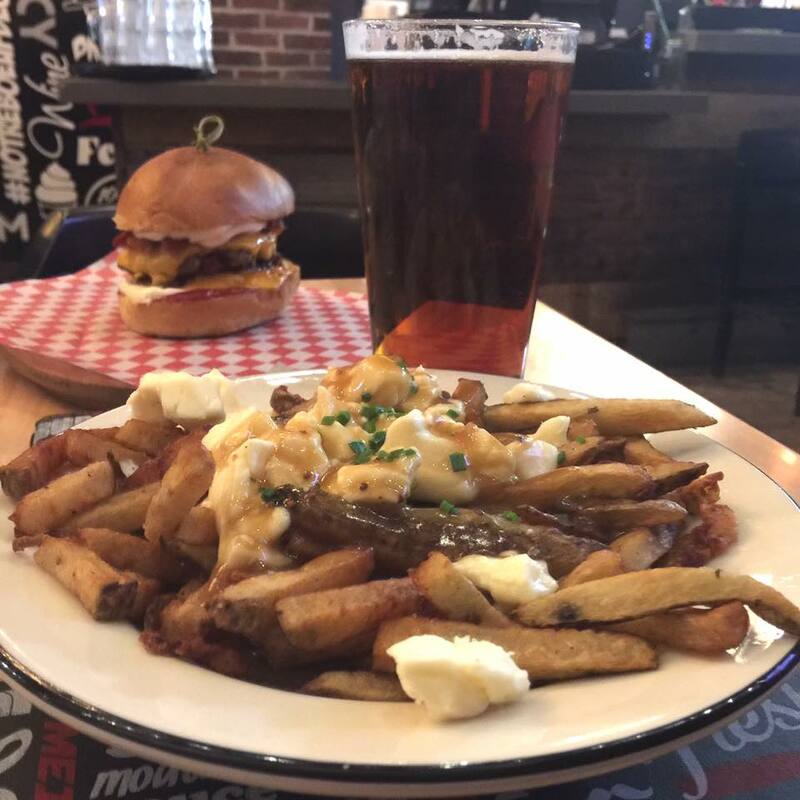 We find the best way to enjoy the unbelievable cheese curd options as well as our favorite burger is to order the cheese curds as an appetizer and share the poutine and the burger. 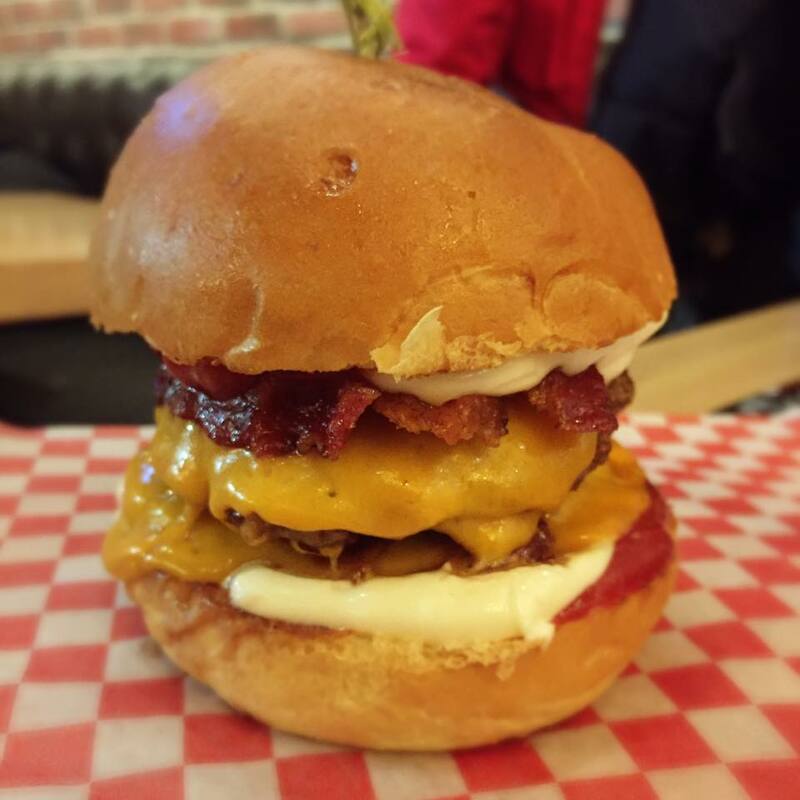 You can’t go to Notre Boeuf De Grace without trying their burger but you’ll want the poutine too so partner up and share it all. 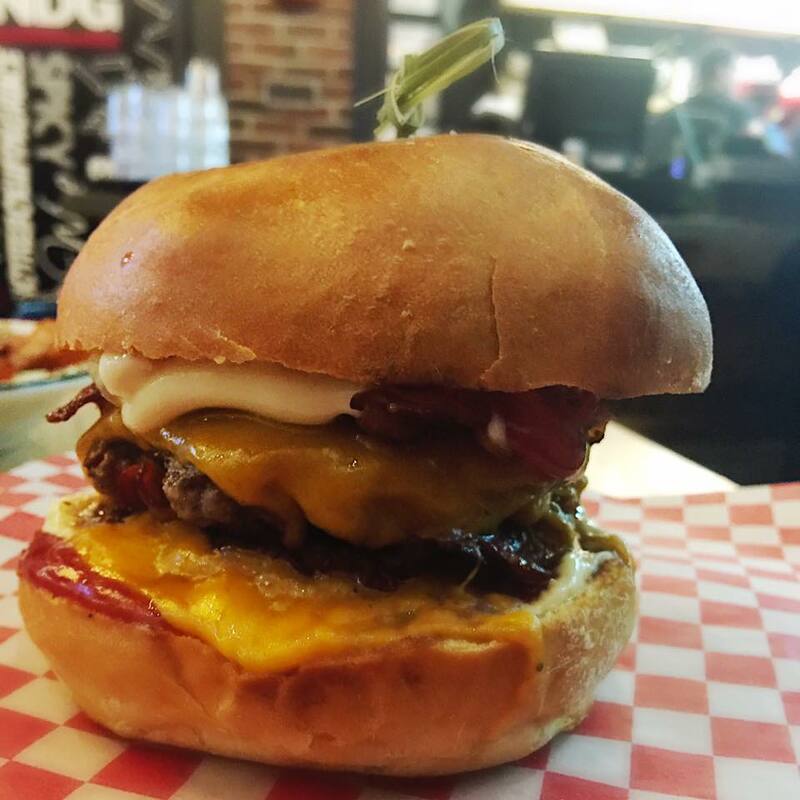 Our favorite bucket list burger, the THOU SHALT BACON CHEESEBURGER JR makes my mouth water just looking at it! It’s so delicious, I’m willing to workout extra this week just so I can return again on the weekend. I better get my running shoes on because I’m going to be at Notre Boeuf De Grace a lot.